Ad Agency, Cossette's latest for ad McDonald's Canada- The Secret Secret Menu Challenge. The challenge recognizes the important role their Crew members have as brand ambassadors and engages them with the brand in a new way that celebrates their creativity. McDonald’s Canada recognizes the important role our Crew members have as our brand ambassadors. That’s why McDonald’s Canada launched the Secret Secret Menu Challenge to engage them with the brand in an exciting way, and celebrate their creativity – especially when it comes to McDonald’s food. The engagement program asks Crew members to submit their own burger/wrap recipe using existing McDonald's ingredients for a chance to win $10,000 and other great prizes. This is the first initiative of its kind designed to inspire McDonald’s Crew pride and give them a platform to flex their creative muscles with what they know best – McDonald's food. The challenge, developed by creative agency Cossette and the Ontario Regional McDonald’s marketing team, asked restaurant Crew members and Managers to develop their own version of a McDonald’s menu item as part of the regional contest across Ontario. The website, secretsecretmenu.ca, has one section for employees to submit their creation and another section where the public can view and vote for the best recipes. You need to trace the golden arches with your finger or track pad to gain access. 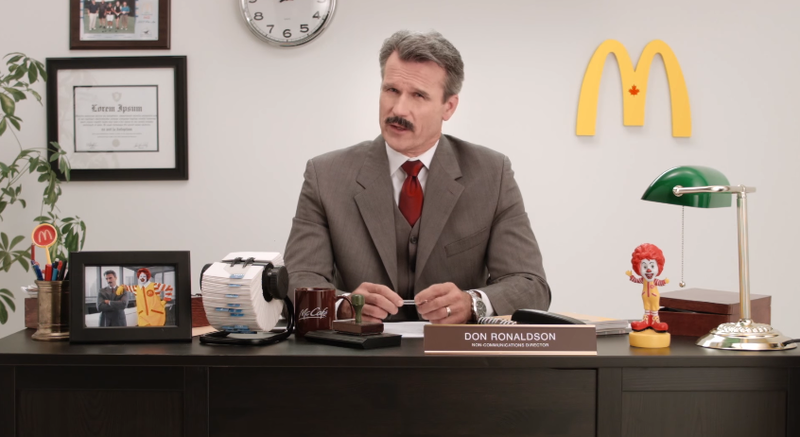 The website features a tongue-in-cheek video from McDonald's "non-communications director" Don Ronaldson, because the best way to fan the flames of a rumour is to deny it. To promote the program, restaurant managers hung posters with a hidden message printed in clear varnish in Crew break rooms, and gave out “secret submission forms” with redacted text suggesting a hidden message. The top 10 submissions at each participating restaurant were submitted to secretsecretmenu.ca with a photo, name and recipe for Crew members to share on social media and encourage friends and family to vote. On December 8, preliminary judging will end and eight semi-finalists will be invited to McDonald’s Canada head office where they’ll work with the McDonald’s Menu Team to perfect their recipe. Crew who don’t make it to the semifinals still have a chance to win the people’s choice award if their creation gets the most votes online. In the next few months, the finalists will attend an event where they will create their recipe for a live panel of high-profile judges. The grand prize winner will receive $10,000 and a bonus $500 for their restaurant. Second place will receive $5,000, third place $2,500 and People’s Choice $1,000.